It’s time to think carefully about what creating a better world really means. If we are to build a future that is sustainable, it must also be equitable. We cannot have a discussion about the environment without considering those most deeply affected. In Spring 2017, Planet in Focus is heading north to Attawapiskat, where high school youth will participate in a two week long, hands-on filmmaking workshop. 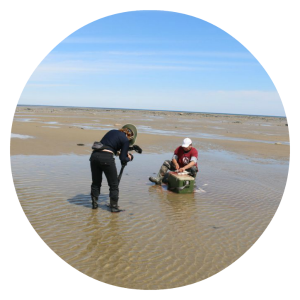 During the lab, students at Vezina Secondary School will be creating short films and telling their own environmental stories. Led by Indigenous instructors and filmmakers with deep ties to the Attawapiskat community, this workshop was inspired by the 2015 Planet in Focus Best Canadian Feature Film After the Last River by Victoria Lean, which exposes the effects of diamond mining in Attawapiskat. Many community members attended the screening and spoke with us, planting the seeds that brought this project to fruition. Thanks to individual donors, we were able to raise $5,500 through our Small Change Fund campaign! 100% of donations raised go toward the purchase of six iPads, which will stay in the community as filmmaking resources for youth, as well as travel for the filmmakers to the community. Coverage of Indigenous issues in the media is often sporadic, or focused on a purely negative narrative. Sometimes the discourse spotlights a major national crisis, spurring interest for a time and then fizzling out. 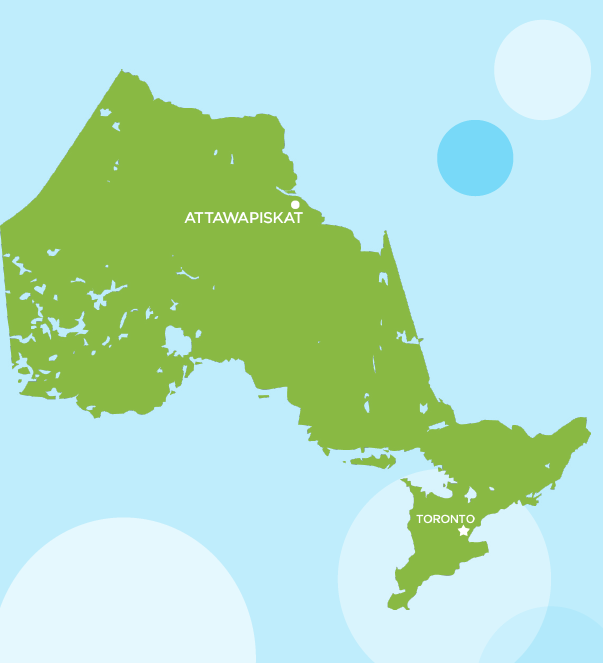 Attawapiskat First Nation (Cree: Āhtawāpiskatowi ininiwak) is a small Mushkegowuk community located at the mouth of the Attawapiskat River on James Bay in Northern Ontario. Known as “People of the parting of the rocks” in the Swampy Cree language, Attawapiskat is home to about 2,000 people. Typical of the colonial practice of exploiting natural resources from Indigenous lands, resource extraction in Northern Ontario prospered thanks to Treaty 9, or the James Bay Treaty of 1905. The Dominion of Canada was a new nation and sought control of Cree lands for exploration and development. According to the Mushkegowuk and Anishiinaabe elders at the time, oral promises made by the government were not reflected in the written agreement. In signing Treaty 9, the Cree believed they were sharing the land in exchange for education and the assurance that their way of life would be protected. Instead, they surrendered the land and its resources, only to experience the dark legacy of residential schools and government regulations imposing on traditional activities. These broken promises laid the groundwork for destroying Indigenous culture while pilfering the land for economic gain. The De Beers Victor Diamond Mine opened in 2008 on Attawapiskat traditional territory — lands taken by the Government of Canada in 1930 through an extension of Treaty 9. Since then, De Beers, the world’s largest diamond producer and distributor, has extracted billions of dollars worth of diamonds. While the specifics are shrouded in secrecy, CBC found that the company has hardly paid any royalties. Whatever pockets are being filled, they are not those of the nearby community. Tragedy has often thrust Attawapiskat into the national and international spotlight. A suicide epidemic made headlines in April 2016 and drew attention to the community’s suffering, but this was not the first call for help. Attawapiskat has declared a state of emergency multiple times over the past decade, faced with a severe housing shortage and overcrowding, flooding and sewer backups, poor infrastructure and education, and staggering unemployment rates (a situation that has been so bad, the Red Cross had to be called in – something you wouldn’t expect in a developed country). Attawapiskat’s leaders hoped the deal with De Beers would be a way to break free from the cycle of crushing poverty. As uncovered in After the Last River, De Beers’ promises have largely gone unfulfilled. Just as it is important to recognize that these crises are rooted in centuries of violence and mistreatment, it’s also important to understand that Indigenous rights and environmental issues go hand in hand. In Attawapiskat, an 18-month study conducted by the environmental group Wildlands League found that De Beers failed to sufficiently monitor and report on mercury contamination caused by the Victor Mine. The mercury levels accumulate in the fish supply that feeds the community – a reflection of a systemic problem that Indigenous peoples are disproportionately affected by environmental degradation. Indigenous peoples have always been at the forefront of environmentalism, organizing movements to peacefully protest the institutions stripping away their livelihoods and cultures. At Planet in Focus, we believe that films can bring about change. Through our Eco-Film Lab in Toronto and York Region schools, we empower young filmmakers to tell their own stories. The youth of Attawapiskat urgently need a platform to be heard, and no one else can tell their stories better. It is our responsibility to listen, support, and pay attention. 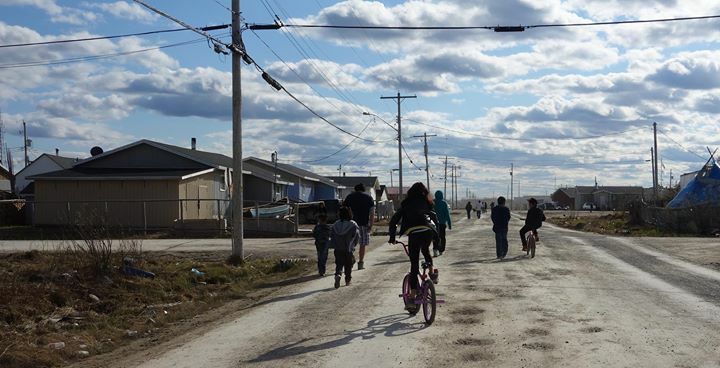 While the story of Attawapiskat is one of a community living in challenging conditions, it is also one of a resilient people raising their voices. The Attawapiskat Eco-Film Lab will encourage dialogue, foster understanding, and deepen connections between Indigenous youth in the North and young people in the South. There will be a community screening of the films after the program in Attawapiskat, and we look forward to sharing the shorts at the 18th Annual Planet in Focus International Environmental Film Festival in October.